These are meant to be used on full size machines, not Sherline machines. 3.1" dia. 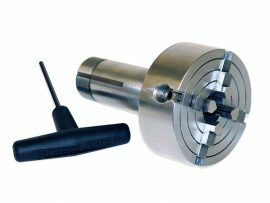 4-jaw independent chuck with 5C back includes T-handled hex driver. NOTE: Not designed for use on Sherline lathes.